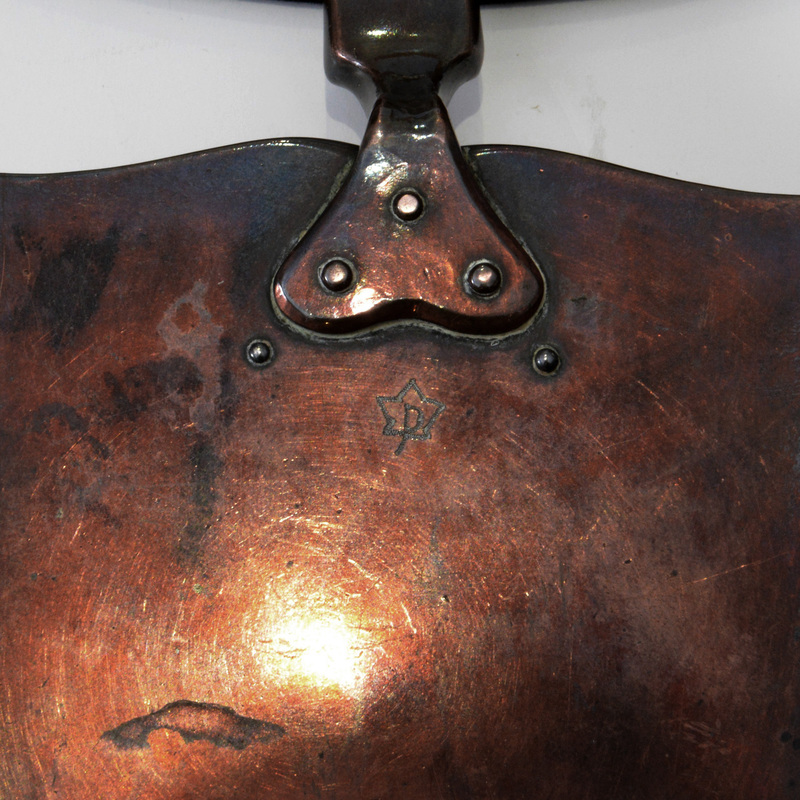 A rare bronze, silver and enamel ceremonial trowel by Nelson Dawson, with his monogram engraved on the trowel. 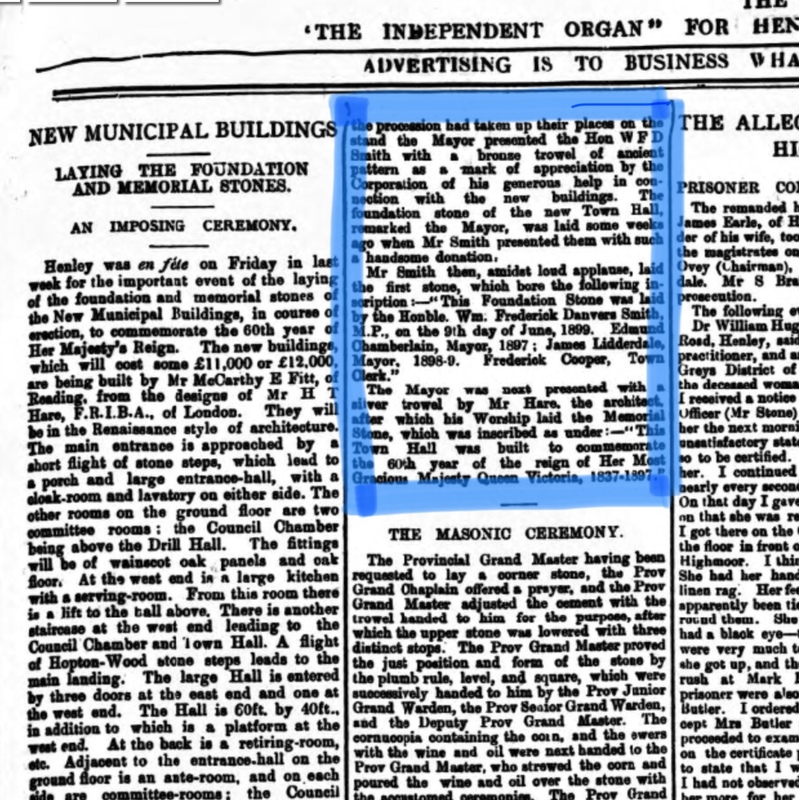 The trowel celebrated the building of Henley’s new town hall in 1899. 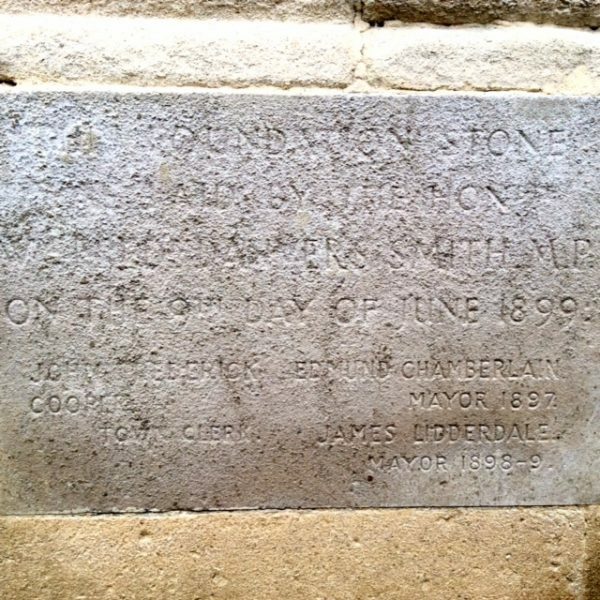 Presented to James Lidderdale Esq on the laying of a memorial stone at the town hall , Henley on Thames, June 9th 1899. 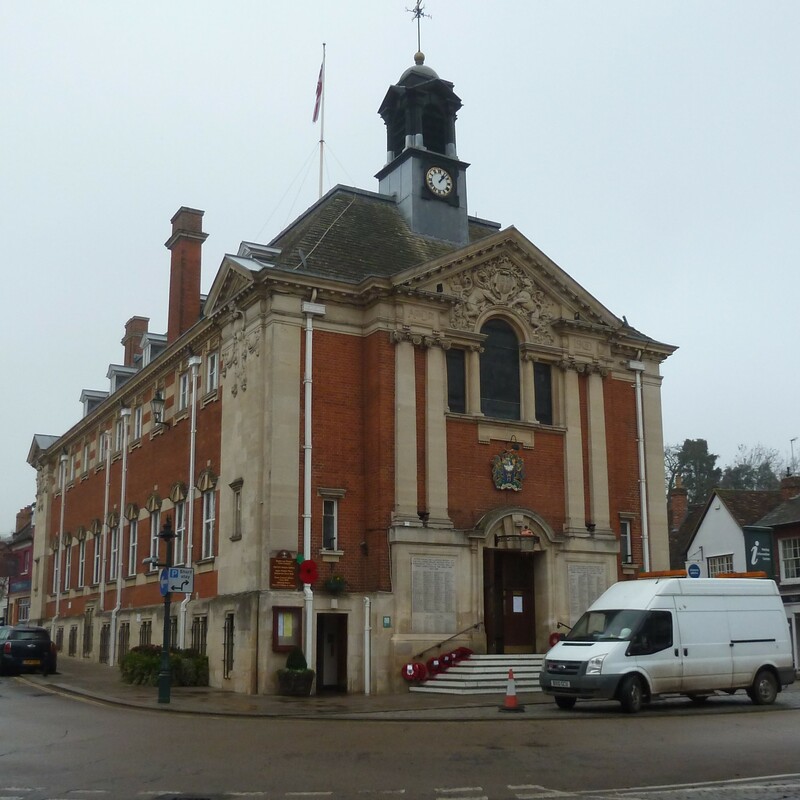 An image of the town hall and foundation stone is shown in images. Nelson Dawson and his wife Edith were early innovators in the area of metalwork and enamel in this period of the arts and crafts movement. 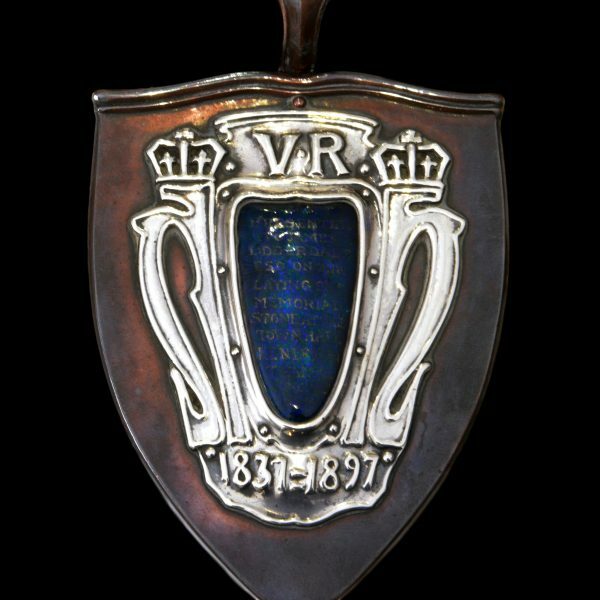 They displayed an elaborate ceremonial trowel in the 1896 Arts Crafts Society Exhibition and subsequently undertook several prestigous commissions for ceremonial trowels, most notably for Queen Victoria and her laying of the Victoria and Albert Museum’s foundation stone in 1901. 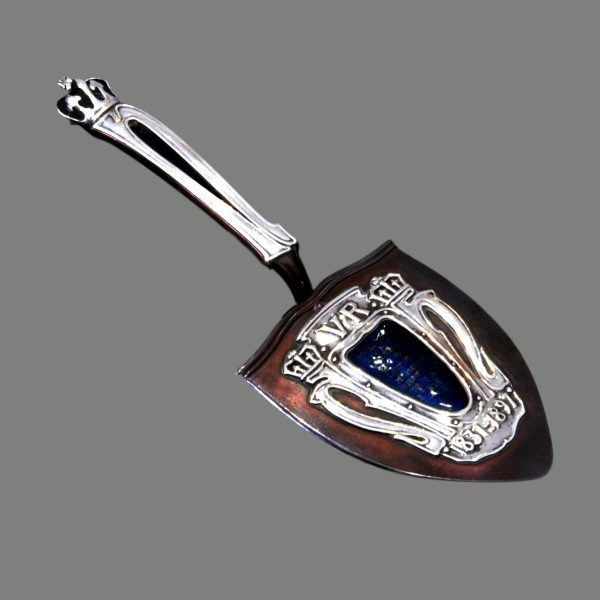 For more information on ceremonial trowels see my article published in the Silver Society Journal at this link. Weight : NM / heavy!